Wouldn’t it be great to be a product manager at Starbucks? Well, if you liked coffee it would be a great job. For the past few years, Starbucks has been experiencing a 5% growth in their stores. However, in the past year this number has started to slip. Clearly the Starbucks product managers need to do something. What should they do to boost growth once again? How should they change their product development definition? What’s Going On At Starbucks? As we all know, Starbucks is a company that sells coffee. A great deal of coffee — which look great on anyone’s product manager resume. When Starbucks started to miss their numbers after having six years of great growth, they had a lot of different explanations as to why this was happening. They pointed their finger at customer’s uncertainty about how the U.S. presidential election was going to turn out, weak consumer confidence, and even changes that Starbucks had made to their loyalty program. All of this happened as the company’s long-time CEO, Howard Schultz left his position to go start up a chain of luxury coffee shops within the company. Starbucks has always been known for being at the leading edge of technology. What this means for their stores is that they were among the first to allow their customers to place their orders for coffee and other products using their mobile phones. However, as cool as this technology is, it has come with some downslides. When all of your customers place their mobile orders at the same time in the morning, things can become very hectic in a given store when those customers show up to pick up their orders all at the same time. Just having this happen a couple of times can cause customers to start to stay away no matter how easy the mobile app makes ordering. Another problem that Starbucks is facing is that many of their existing markets have become saturated. There are so many Starbucks stores that there literally is no room for any more to be added. When you also account for all of the competing coffee shops, including the ever popular Dunkin Doughnuts and McDonalds, then all of a sudden Starbucks ability to solve their growth problem by opening more stores starts to look a bit risky. How Can Growth Be Restarted? The product managers at Starbucks understand that they have a real challenge on their hands. 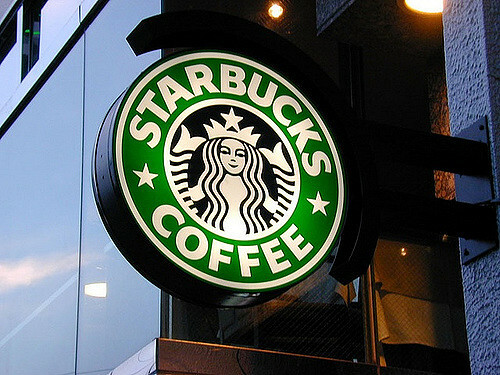 Starbucks is a very large organization and making any changes to how they do business can take a lot of time and effort. In order to solve the problem that they have been having with their mobile app causing too many customers to show up at a given store all at the same time, Starbucks has a plan. They have added a dedicated barista whose job it is to greet mobile users and hand them their food and drinks as they enter the store. The goal is to eliminate the congestion that customers have been experiencing. The Starbucks product managers realize that the urban centers where the company first got its start are starting to become saturated. Because of this, they have started to look in other locations for places where the company can continue to grow. The company believes that there is room for them to continue to grow by expanding in suburban areas. Additionally, they believe that there may be a lot of growth for them in the Midwest. Overall, the company plans on opening 12,000 new stores globally which will take them to 37,000 total stores. They have stated that more than half of these stores will be in the U.S. and China. Starbucks believes that its positions on social issues will also play a key role in the firm’s future growth. The company has done an excellent job of hiring returning veterans and a while ago they publically announced that they would be making an effort to hire more refugees. These positions are very important because Starbucks believes that the human connection is a critical part of who they are. The fact that they clearly stand for something makes Starbucks a place that both employees and customers want to be associated with. Everyone knows what Starbucks is. We all probably spend too much money there buying coffee and other products. For the past few years, Starbucks has been growing at a rapid rate. However, in the past year, this growth has started to slow down. This means that the Starbucks product managers are going to have to take a close look at their product manager job description and get creative to find ways to get the company’s growth restarted once again. Starbucks has run into a number of challenges that are unique to both the size and the complexity of the company. They have always adopted cutting edge technology and by permitting their customers to place orders online, they’ve created traffic jams in their stores. They are trying to fix this problem by hiring employees to exclusively deal with mobile customers. They have run out of space to open new Starbucks stores in urban areas. This is why they are starting to look at more suburban areas and places like the Midwest. Starbucks has always been careful to make sure that their customers know that they stand for something. This can be a powerful tool for once again getting customers to decide that they believe in what Starbucks stands for and are willing to show this by shopping there. The good news for Starbucks product managers is that the company is very large and is still doing quite well. Their real challenge is to find ways to allow the company to do even better. There are a number of changes that the product managers can implement that will allow the company to start to attract more customers. The product managers need to follow through on these plans and then make sure that people can get in and get out of a Starbucks fast enough to want to come back tomorrow! Question For You: Do you think that Starbucks can be as dense in suburban areas as they currently are in urban areas? If there is one television program that just about everyone watches, after the Superbowl it’s probably the Olympics. These sporting events bring the best athletes from all around the world together for a short period of time. They get to compete against each other for personal glory and in a quest to win the most metals for their country. In the U.S., Comcast’s NBCUniversal unit owns the broadcast rights to the Olympics. Their product managers have come up with a way to get us to watch even more Olympics on television.